-4-hour onsite response: For incidents with covered hardware that cannot be resolved remotely, HP will use commercially reasonable efforts to respond onsite within 4 hours. 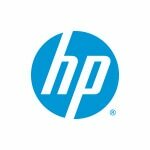 An HP authorized representative will arrive at the Customer's site during the coverage window to begin hardware maintenance service within four hours of the call having been received and acknowledged by HP. Onsite response time specifies the period of time that begins when the initial call has been received and acknowledged by HP. The onsite response time ends when the HP authorized representative arrives at the Customer's site, or when the reported event is closed with the explanation that HP has determined it does not currently require an onsite intervention.